Located right next to the beach in Soi 1 in a quiet neighborhood, this hotel is a great family hotel with Family Mart and C Shopping Centre situated nearby. Although, the hotel is fairly old, the rooms are clean. The pool is quite charming and will lure you to have a relaxing dip at least once during your stay. 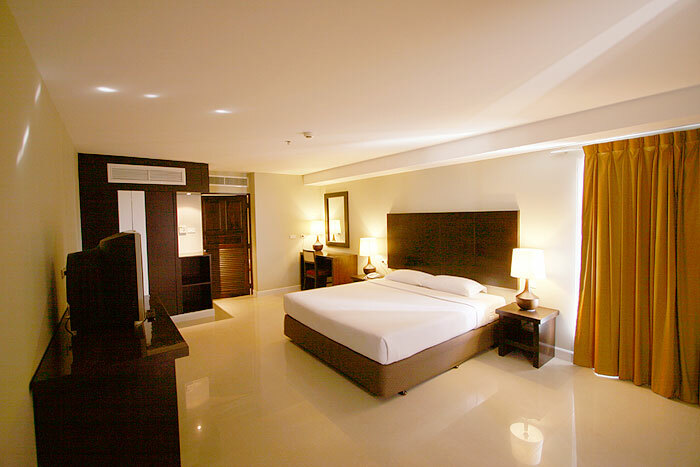 Summer Spring Hotel Pattaya is one of the most impressive 3-star properties in Pattaya, Thailand. Located in Pattaya Central which is 300 m from the lively Tiffany Show, Summer Spring Hotel boasts of beautiful natural green surroundings. This stylish hotel is 400 m from Art in Paradise and 840m from Hard Rock Cafe. The popular Walking Street Pattaya is situated at a distance of 2.6 km from this property. Summer Spring Hotel offers comfortable shelter for families and couples looking for an unforgettable holiday. Summer Spring Hotel features an amazing dcor and facilities for its guests to calm their senses and get the feeling of a perfect vacation. The staff at the hotel is friendly & polite and always ready to help the travelers. Its proximity to the nearby tourist attractions and public transport terminals makes it the right choice to explore Pattaya in the Kingdom of Thailand. Spring Summer Hotels friendly staff has many elegant and carefully decorated rooms. It offers rooms under various categories, including Standard double room, Deluxe Room, Penthouse room, and Suite with City view. One should choose to stay here and enjoy in the lap of beautiful nature. 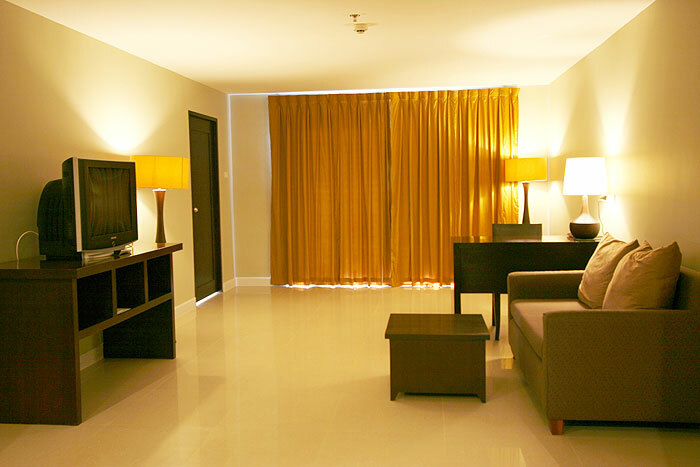 Go for the pleasant suite that is an ideal pick for those who love luxurious surroundings. Moreover, many suites at the hotel feature spacious balconies and private terrace. All the rooms are equipped with LED TV sets, refrigerators, wardrobes, lockers, minibars and tea/coffee makers, as well as in-room dining facilities and free Wi-Fi connectivity. Summer Spring Hotel Pattaya is located at North Pattaya, which is one of the quietest and clear beaches in Pattaya. The 8-storey hotel offers clean and comfortable rooms with a modern architectural style. With a variety of rooms, the hotel rooms feature large private balconies. Summer Spring Hotel proudly boasts of its location and services provided by the staff. It also features a swimming pool, restaurants and bars within the hotel premises for the convenience of the guests. 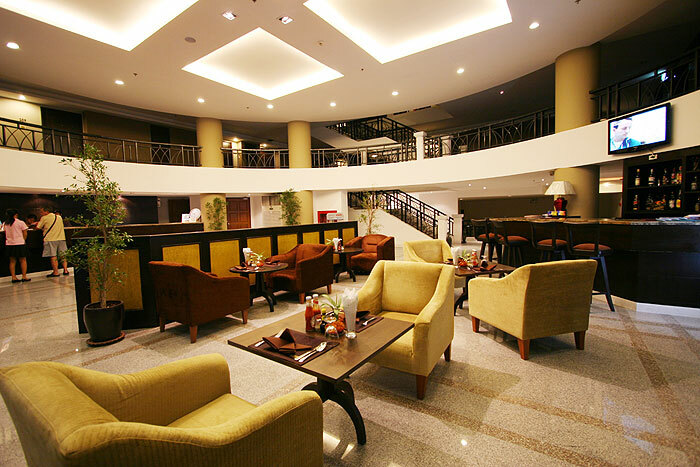 Besides, the hotel maintains a free parking area, 24x7 front and travel desk, and dining facilities. All the hotel rooms are equipped with state-of-the-art amenities and complementary 24X 7 Wi-Fi. It also offers airport shuttle, laundry, housekeeping and other services. Further, the hotel makes arrangements for outdoor games. Summer Spring Hotel Pattaya features exceptional restaurants and bars offering delightful culinary experiences throughout the day. One will get coffee and snacks together at the coffee house. The restaurant offers a range of scrumptious Thai and local dishes cooked by well trained chefs. The restaurant also allows its guests to enjoy a continental buffet. Further, one can gorge on appetizing food with a glass of wine at beautifully decorated open space that remains open for lunch and dinner. Moreover, it serves an array of cocktails for its guests. By providing all the basic and luxurious amenities, the hotel strives to provide its guests the stay for a lifetime. Special rooftop pool and gym are likely to engage one in a total mind-body workout at Spring Summer Hotel. Yes, the hotel provides a child-friendly environment. Yes, Spring Summer Hotel Pattaya provides airport shuttle services to its guests. Yes, the hotel offers room service. Yes, the hotel provides on-site parking space free of charge. Does the hotel have its own outdoor pool and balcony? Yes, the hotel has its own outdoor pool and rooms with private balconies. Pattaya is a city on Thailands eastern gulf coast that is known for its beaches. The area also features several designer golf courses, some with views of Pattaya bay. Here, experience the beauty of raw nature and find solace while being surrounded by vibrant greenery and soothing ambiance. Spring Summer Hotel is also known for offering warm hospitality with friendly staff. One can enjoy stunning views of the sea, emerald gardens and beach from a private terrace or balcony that accompany most of the rooms. Whether its a spa treatment, beauty session, gym or water sports, the guests have endless ways to unwind. Get a taste of authentic local cuisine made from the freshest ingredients at the in-house restaurants. Further, the hotel offers a number of fun activities for kids. Guests can also indulge themselves in beach picnics and parties. By and large, Summer Spring Hotel Pattaya Thailand ensures that its guests get an exclusive slice of life while holidaying in the Kingdom of Thailand.